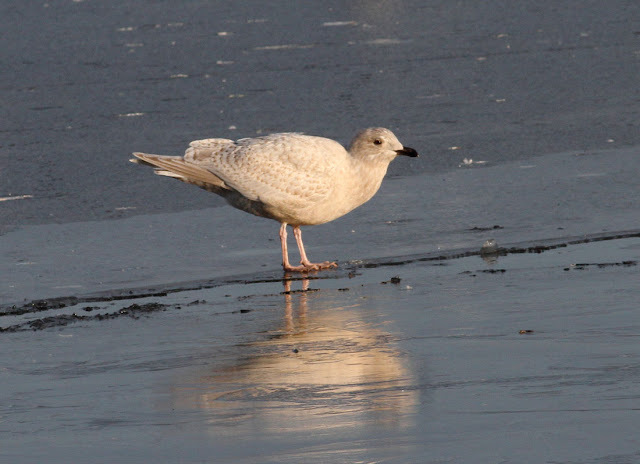 Kumlien's Iceland Gull - first-winter, Turner's Falls, Franklin Co., MA. January 30th, 2016. Saturday afternoon (01/30) saw exceedingly mild temperatures again but there was still plenty of ice at Barton Cove resulting in a nice collection of several hundred gulls resting off Unity Park in Turner's Falls. I spent the best part of a pleasant hour sorting through the gulls which were subject to frequent flushing by the local Bald Eagles. 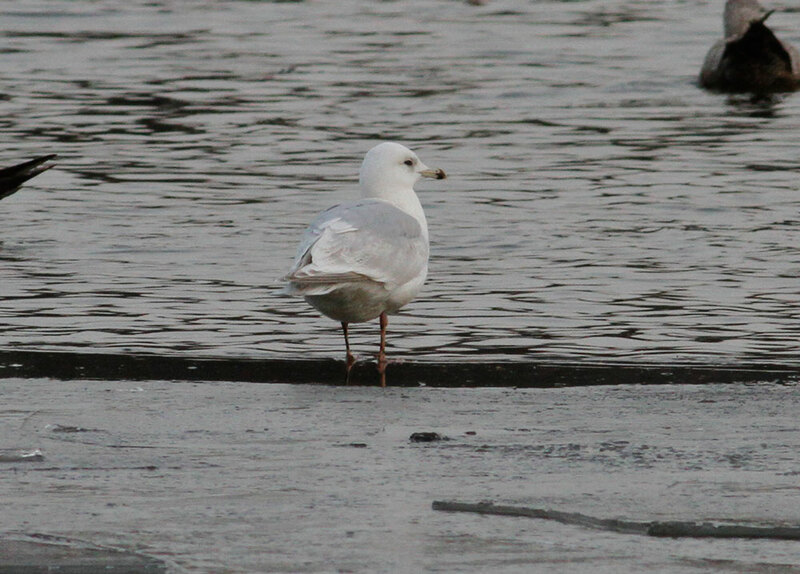 Despite this minor niggle, I enjoyed good close views a new Kumlien's Iceland Gull as well as the ever present Lesser Black-backed Gull, and what I thought may have been a second or third cycle Nelson's Gull. 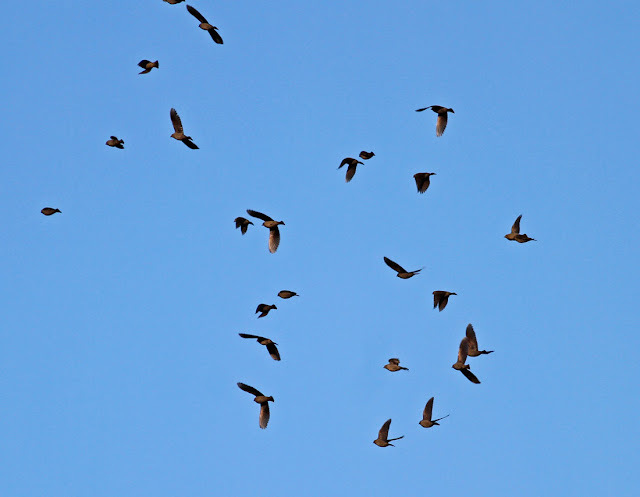 Beyond that, the flock was composed almost entirely of Herring Gulls with very few Great Black-backed Gulls present. 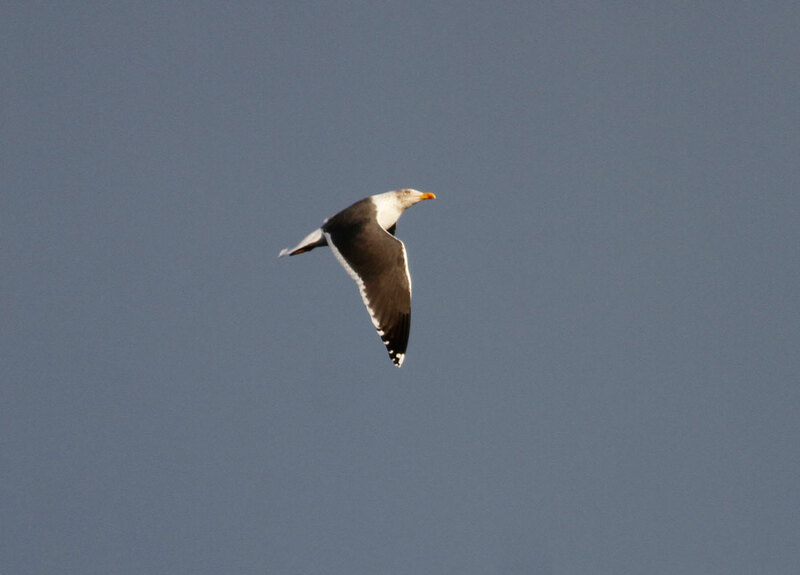 Lesser Black-backed Gull - Turner's Falls, Franklin Co., MA. January 30th, 2016. 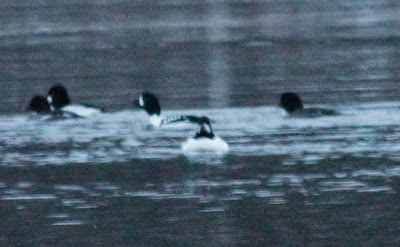 All images refer to the same individual bird. 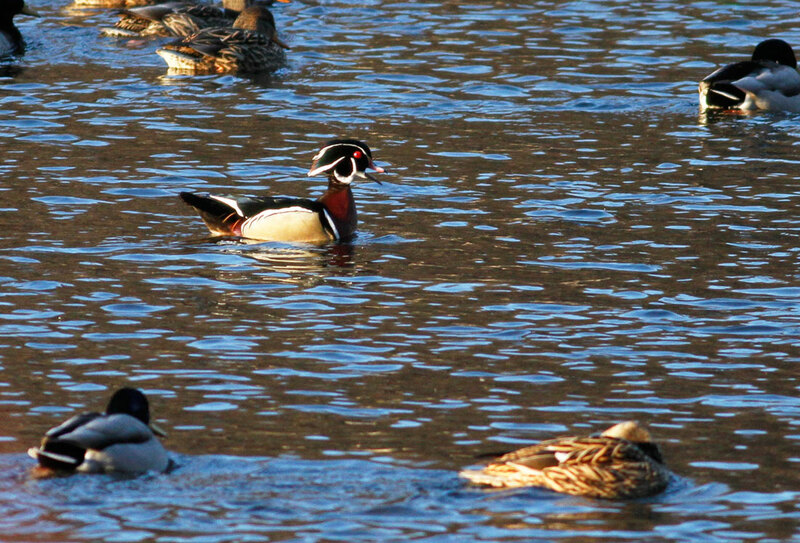 Wood Duck - male and two females continue at Turner's Falls, Franklin Co., MA through to Jan 29th. 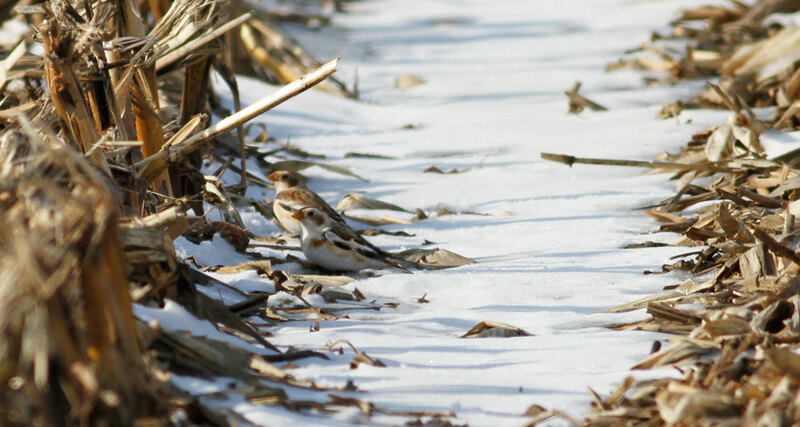 We're having a relatively mild week with conditions recalling early spring rather than mid-winter. 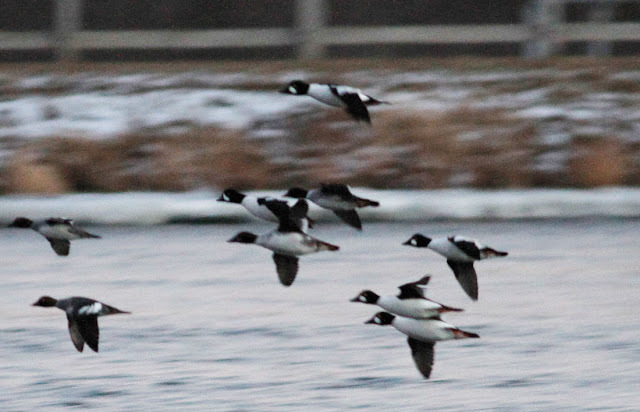 If anything, the birding has been a little on the quiet side and some of the locally scarce wintering species have been difficult to find over the last week. 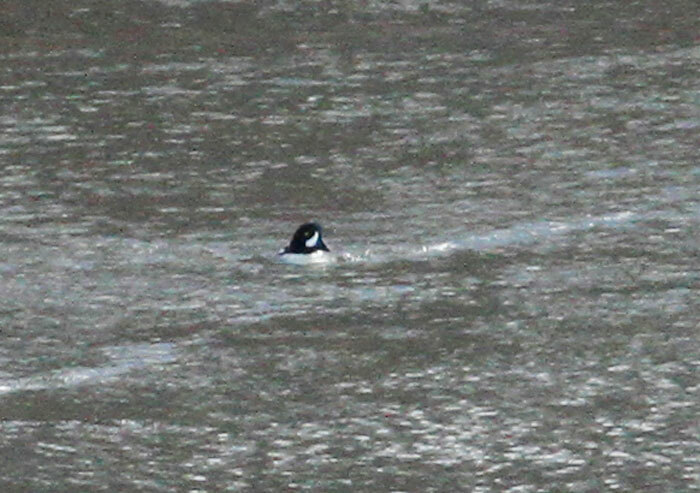 For example, despite regular checks, I haven't seen a Barrow's Goldeneye in the area since January 22nd. The only 'new' bird that I detected during this period was a calling Yellow-bellied Sapsucker in Gill on the 22nd, the only winter sapsucker that I've managed to find locally this year. 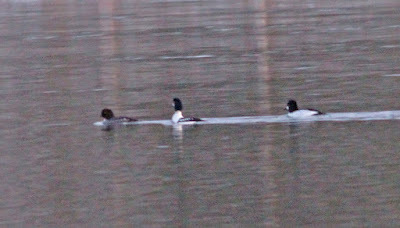 Lesser Scaup - female continues at Unity Park, Turner's Falls, Franklin Co., MA through to Jan 29th. 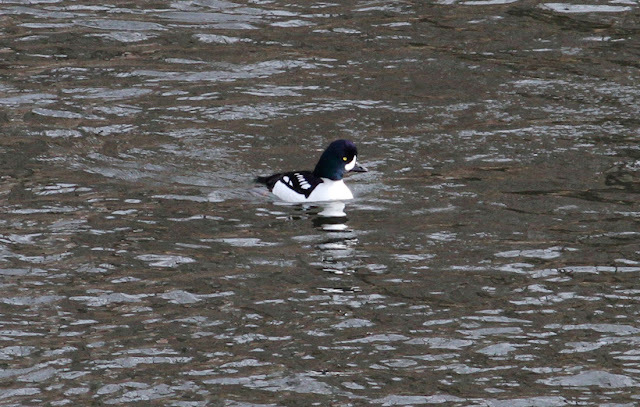 Barrow's Goldeneye - male at Turner's Falls power canal, Franklin Co., MA on Jan 22nd. 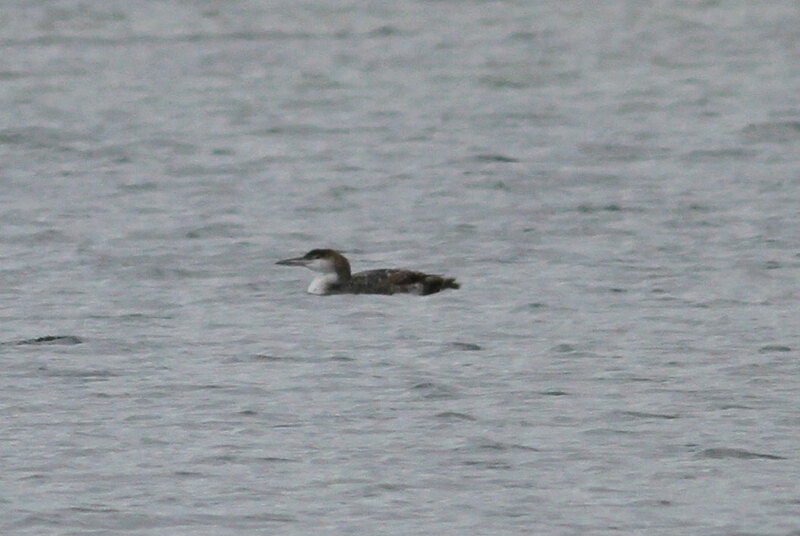 Common Loon - 2 non-breeding plumage, North Quabbin (Gate 35), Franklin Co., on Jan 23rd. Northern Harrier - juveniles at North Hadley and the East Meadows, Northampton, Hampshire Co., MA on Jan 26th. 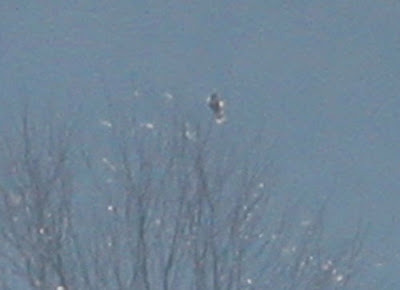 Rough-legged Hawk - juvenile continues at North Quabbin (Gate 35), Franklin Co., on Jan 23rd. 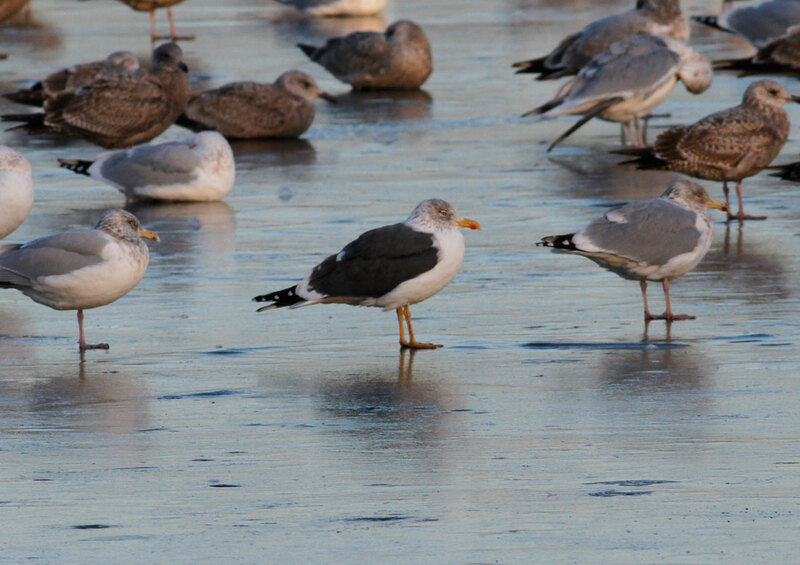 Lesser Black-backed Gull - continues at Turner's Falls, Franklin Co., MA through to Jan 28th. 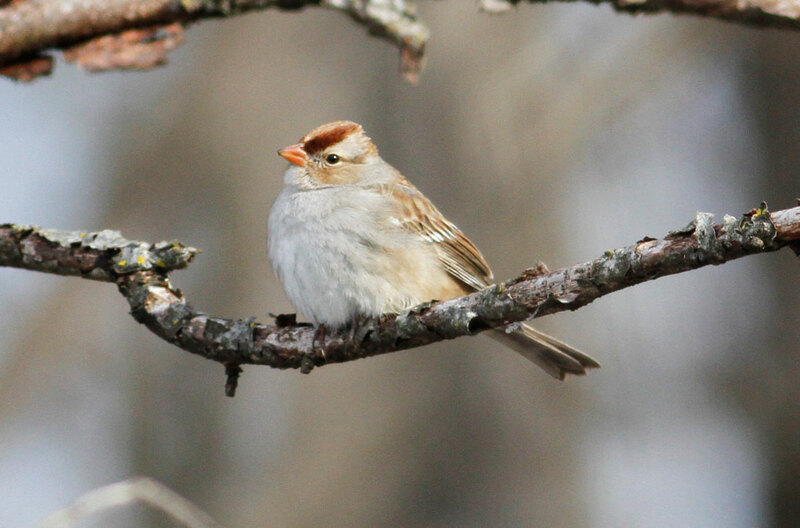 but no sign of the Ipswich Sparrow. 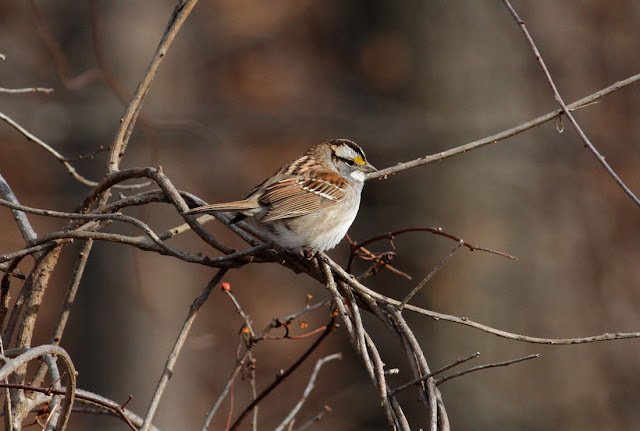 White-crowned Sparrow (gambelli) - first-winter continues with American Tree Sparrows at the Hadley Honey Pot, Hampshire Co., MA through to Jan 26th. 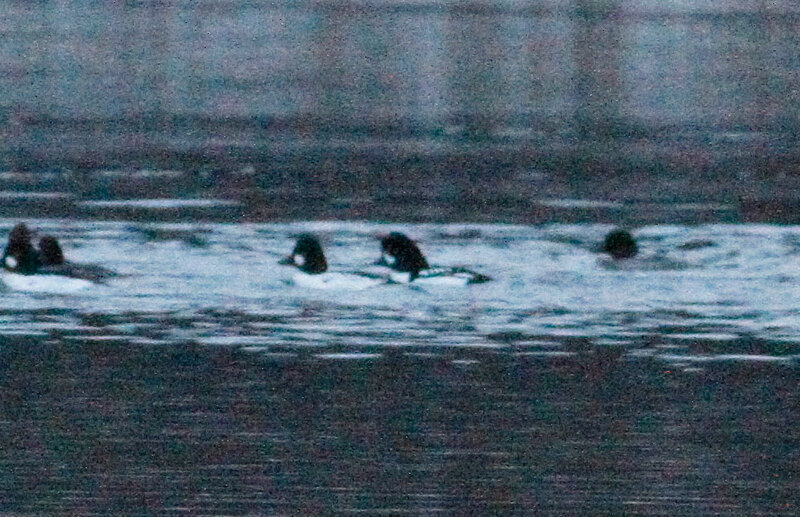 Also seen, reported and photographed by Larry Therrien. Brown-headed Cowbirds - up to 35 with up to five Red-winged Blackbirds and two Common Grackles. Bascom Road, Greenfield, Franklin Co., MA. Jan 28th, 2015. 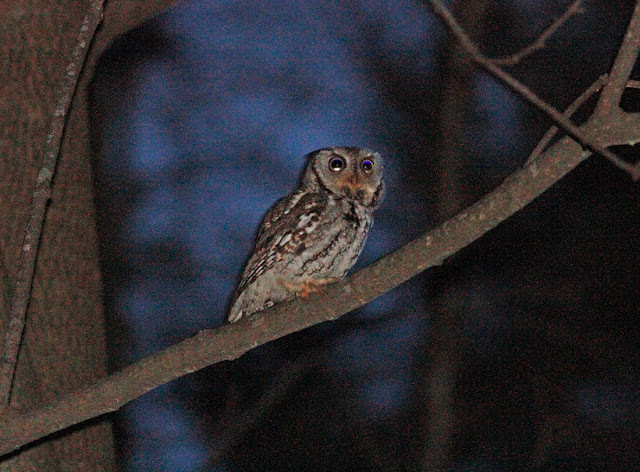 Eastern Screech-Owl - gray morph, Franklin Co., MA. January 26th, 2016. Yesterday evening (01/26) was so mild and balmy you'd be forgiven for thinking that it was late March rather than late January! 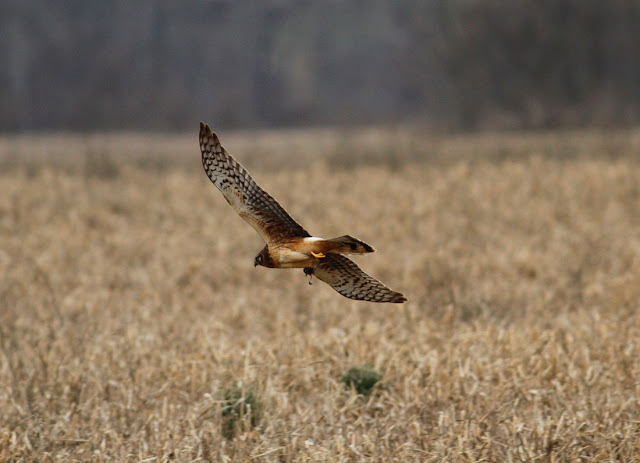 It was also fairly breezy, not really the sort of conditions that one might expect to hear an owl calling. 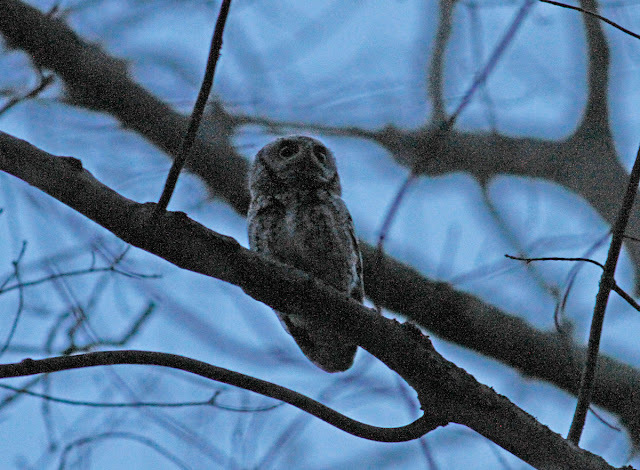 Yet as dusk crept towards nightfall I felt sure I could hear the tail-end of the monotone trill of an Eastern Screech-Owl. A little patient stalking in the woods and I was soon watching this perky little owl calling and flying around moving from song post to song post - so visible in fact that it even allowed me to chance a few images. Active well before nightfall with plenty of ambient light in the background. Probably not uncommon along the Connecticut River Valley, though much more frequently heard than seen. Bobcat - Northfield, Franklin Co., MA. January 21st, 2016. 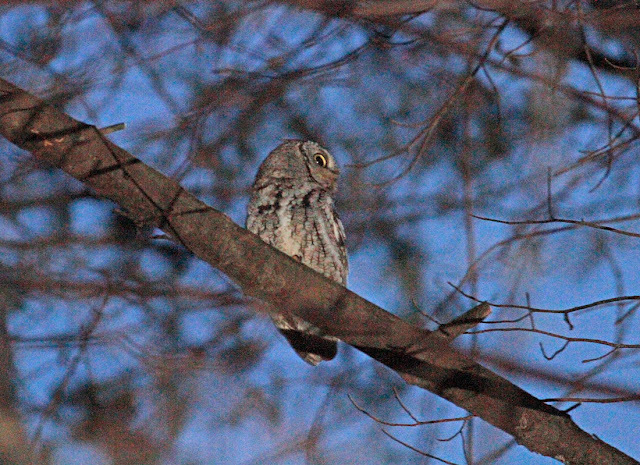 Another chilly start to the day provided nice views of two local owls before sunrise - a Great Horned Owl perched on a Utility Pole by the NMH campus on Main Road, and a Barred Owl again on North Cross Road. After dropping Matan at school I headed towards Turner's Falls with the firm intention of checking a couple of spots before heading home to do some work. A pair of Wood Ducks on the power canal were nice and again there was a fabulous Goldeneye show, including the drake Barrow's Goldeneye, at Montague City but those sightings would quickly pale when I had a chance encounter with Bobcat on the way home. 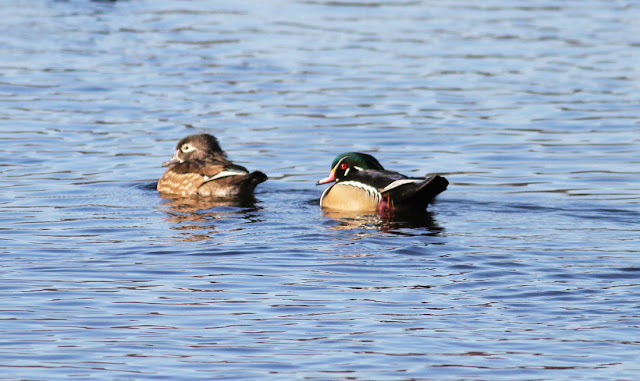 Wood Duck - pair, Turner's Falls power canal, Franklin Co., MA. January 21st, 2016. 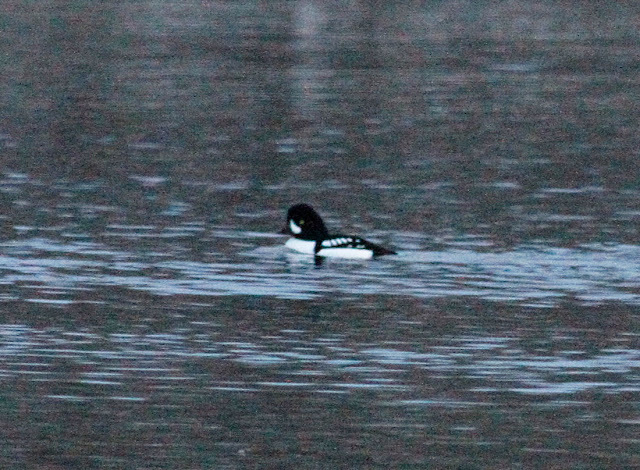 Barrow's Goldeneye - male, Montague City, Franklin Co., MA. January 21st, 2016. 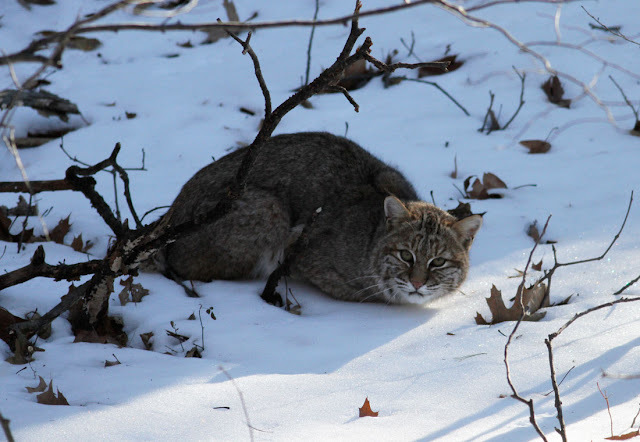 I've had quite a bit a luck with seeing Bobcats in the Pioneer Valley over the years but all of them have been brief, and all but one have eluded the camera so imagine how thrilling it was to have a Bobcat casually walk across a snow covered track in front of my car! Unfortunately it dropped straight down into a wooded gully and, despite careful scanning, I thought it was gone. 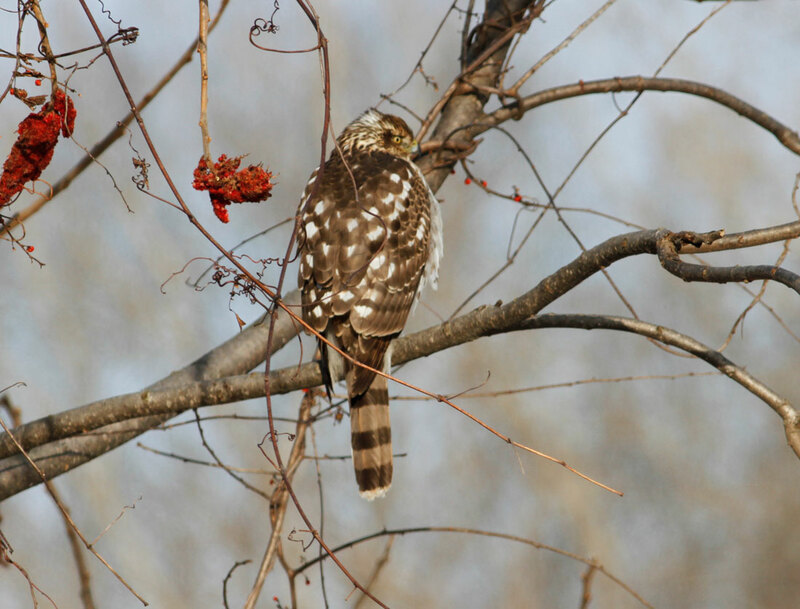 I parked the car in a more sensible spot, got out and started birding as the Bobcat's presence had triggered a 'wall' of bird sound in the woods. A shape in the gully caught my eye. 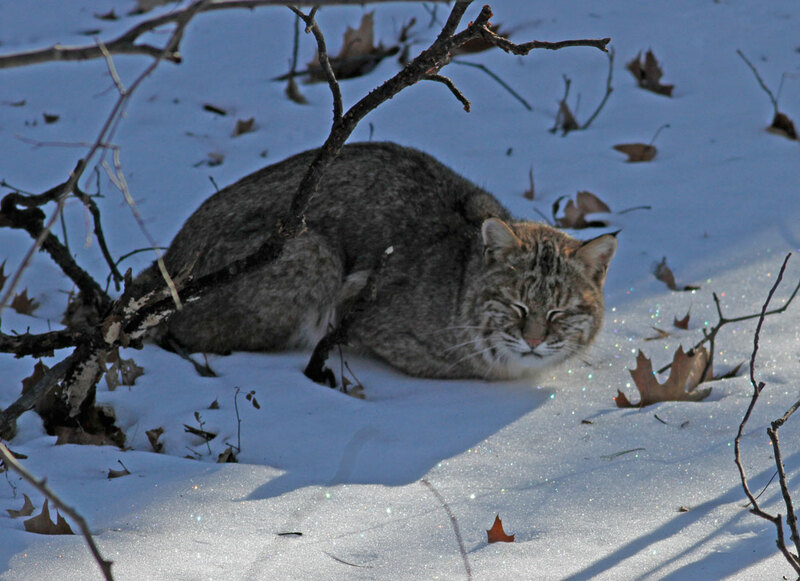 It just didn't look right and in a few splits of a second I realized the Bobcat was 'hiding' just a few feet from me. 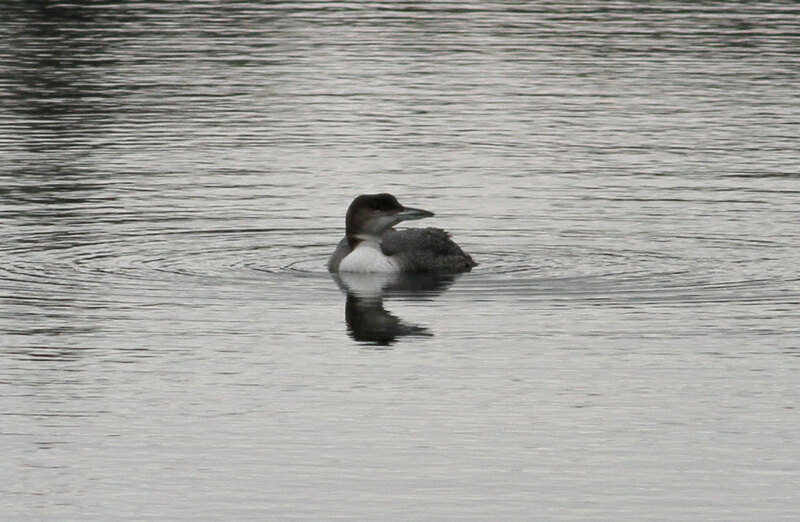 In fact, it looked so settled and calm that I began to wonder if it was injured. I needn't have worried. Once it became aware that it was being watched, it soon bolted up the opposite side of the gully and headed deep into the snow covered woodland. 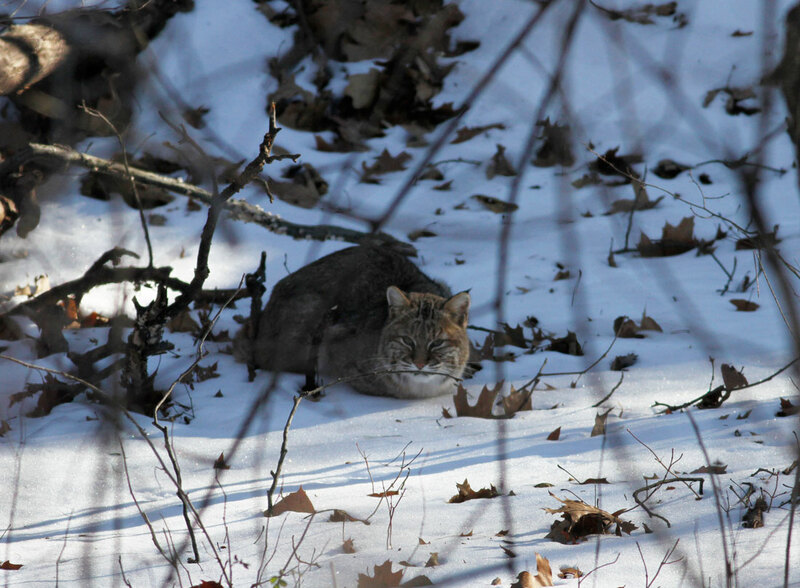 Bobcat - Northfield, Franklin Co., MA. January 21st, 2016. Looking relaxed enough to take a snooze! 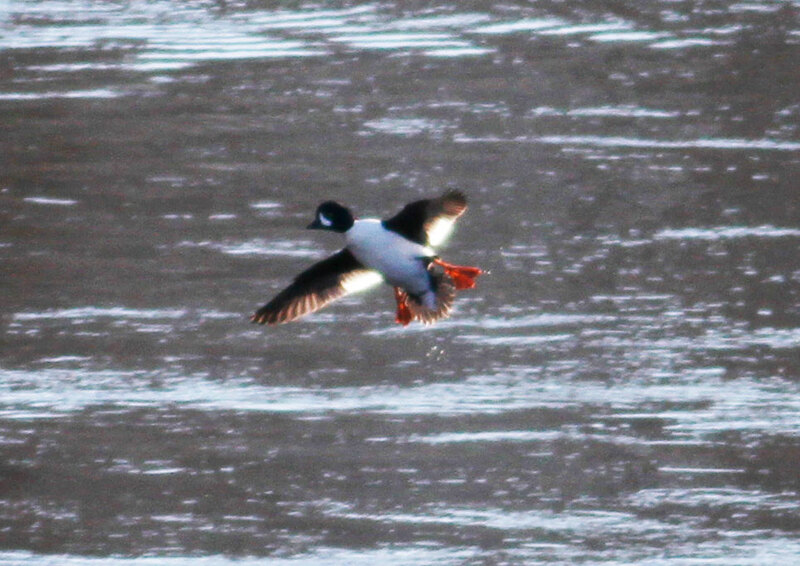 Without doubt the outdoors highlight of my year in the Pioneer Valley so far. 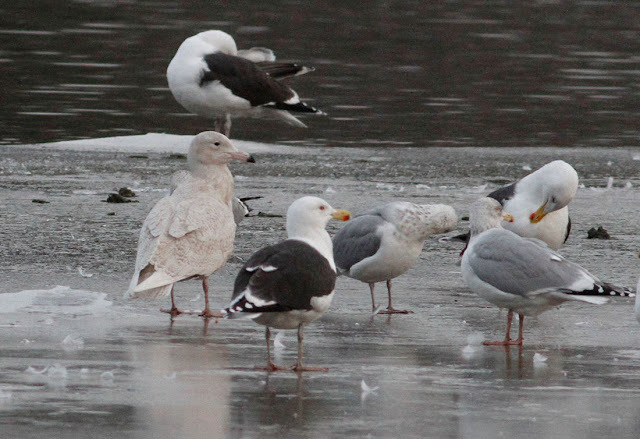 MA - Glaucous Gull and other good birds around 'the valley'. 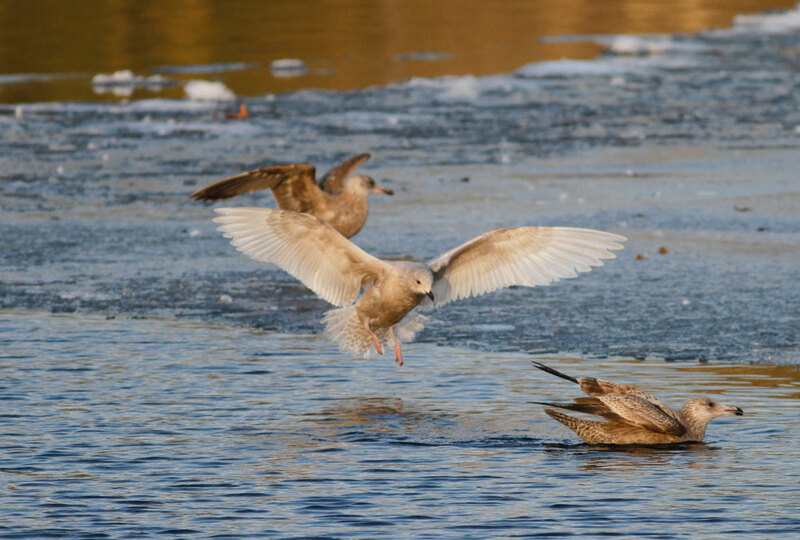 Glaucous Gull - first-cycle (left), Turner's Falls power canal, Franklin Co., MA. January 15th, 2016. 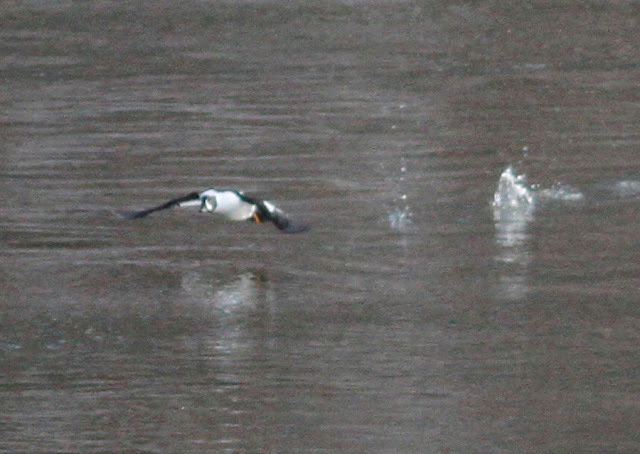 Barrow's Goldeneye - a pair coming into the Turner's Falls power canal on Jan 14th and 15th, the male actively displaying to the female. 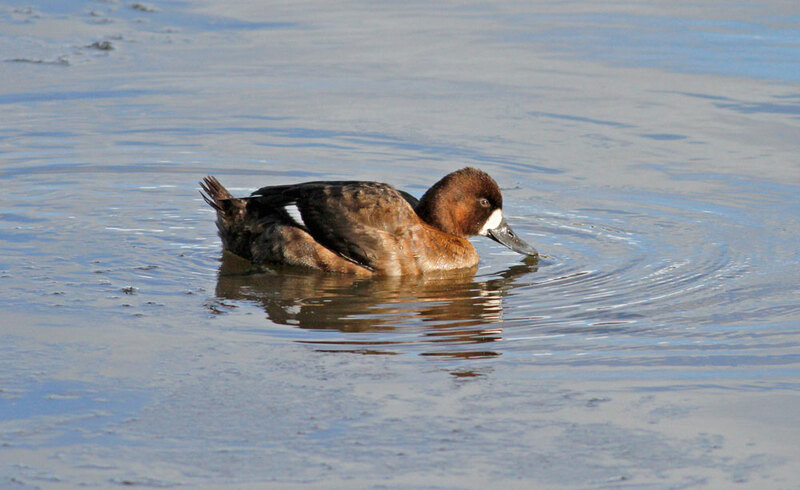 Lesser Scaup - female continues at Turners' Falls and Barton Cove through to Jan 17th. 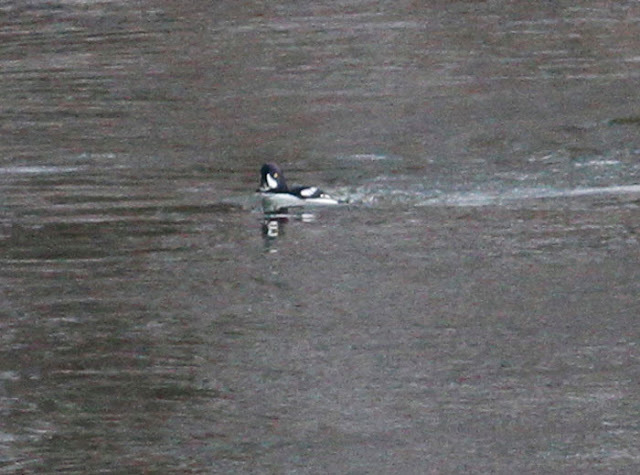 Common Loon- five on Quabbin Reservoir (north end), seen by walking in from Gate 35 on Jan 16th. Peregrine - 1 adult in the East Meadows, Northampton on the 15th. Northern Harrier - a juvenile in Gill, hunting off Main Road below the NMH campus on the 14th and another juvenile in the East Meadows of Northampton on the 15th. Rough-legged Hawk - 1 light-morph perched above a reed covered island at Quabbin Reservoir, north end. Seen by walking in from Gate 35. The bird itself was very distant and a scope essential to see it. 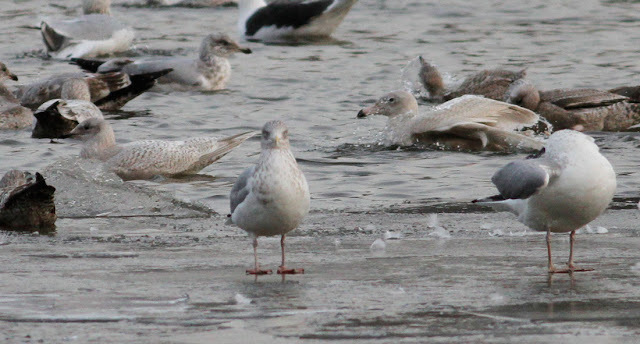 Glaucous Gull - beautiful first-cycle bird at Turner's Falls power canal on Jan 15th. 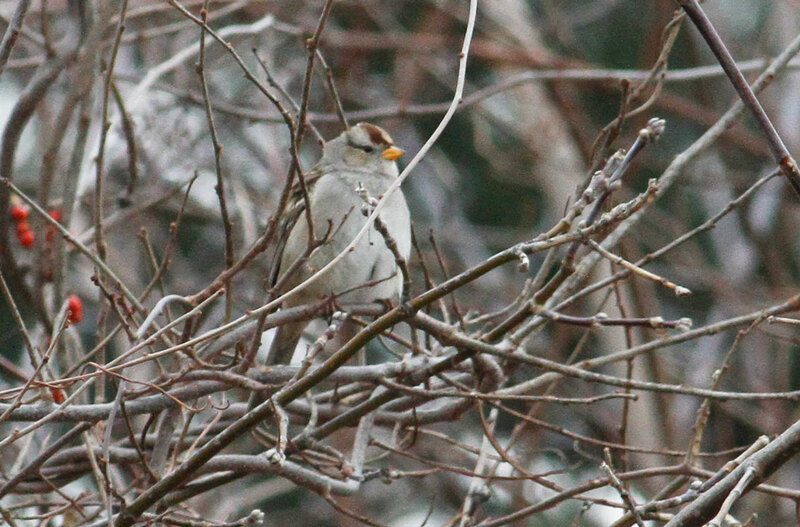 First of this particular winter season. 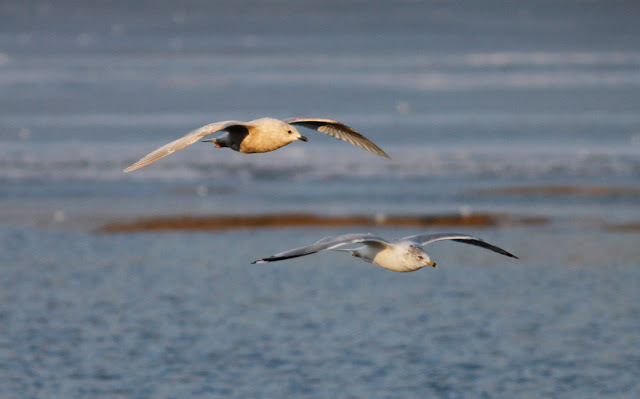 Kumlien's Iceland Gull - two (first-cycle and third-cycle) at Turner's Falls power canal on Jan 15th. 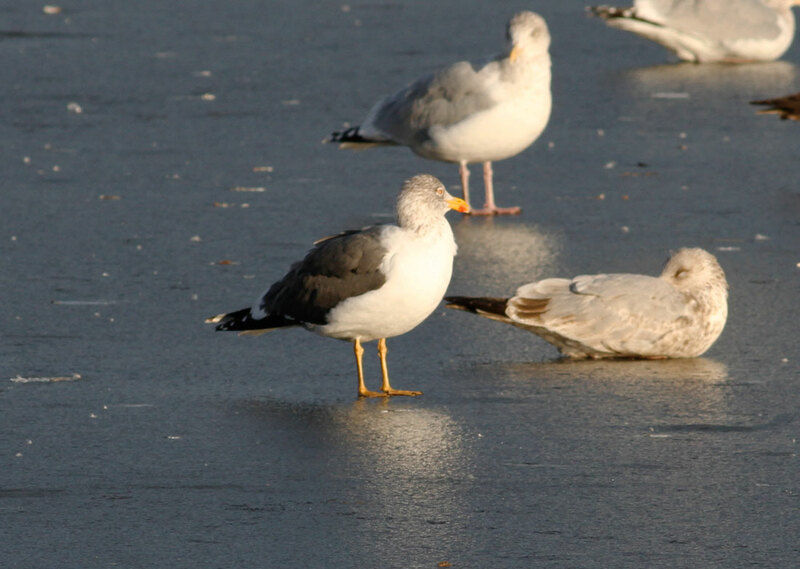 Lesser Black-backed Gull - adult, continuing bird from late November, being seen daily at Turner's Falls through to Jan 17th at least. 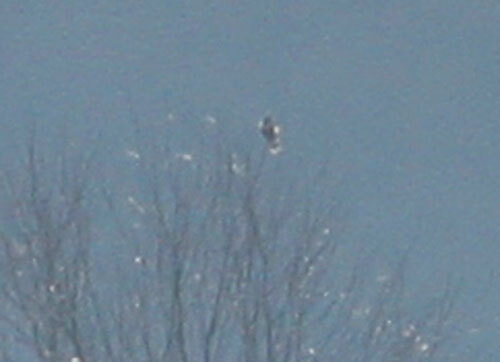 Barred Owl - nice early morning views on North Cross Road, Gill. January 14th. Horned Lark - flock of about 110 in the East Meadows, Northampton. January 15th. 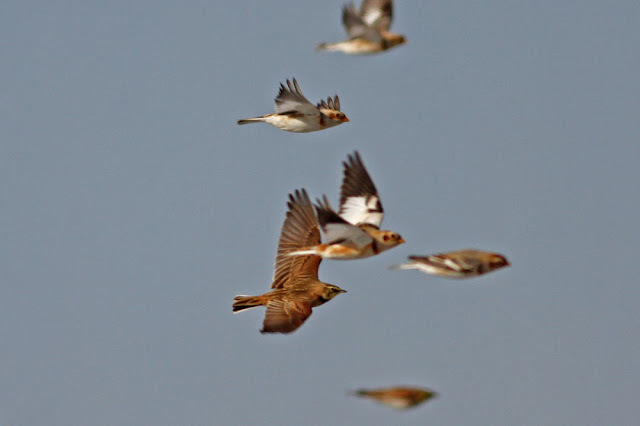 Snow Bunting - flock about 85 with the Horned Larks, East Meadows, Northampton. January 15th. 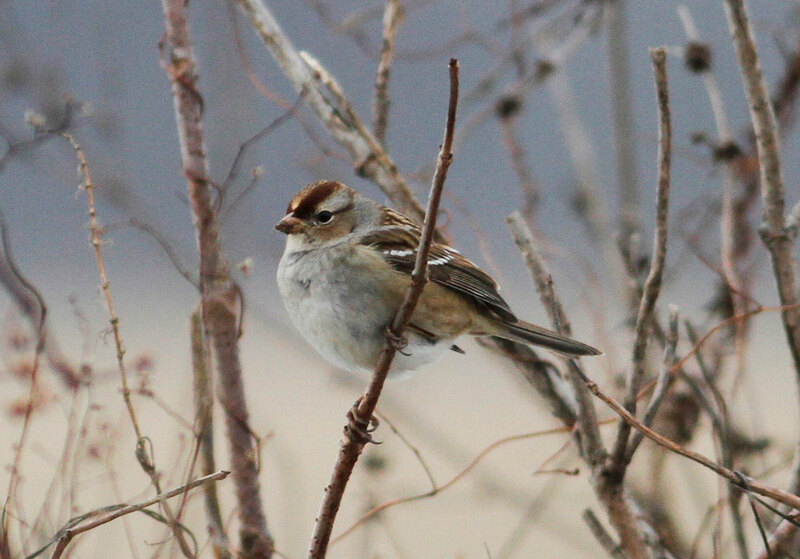 American Tree Sparrow - about 55 East Meadows, Northampton. January 15th. White-crowned Sparrow - immature with American Tree Sparrows, East Meadows, Northampton. January 15th. 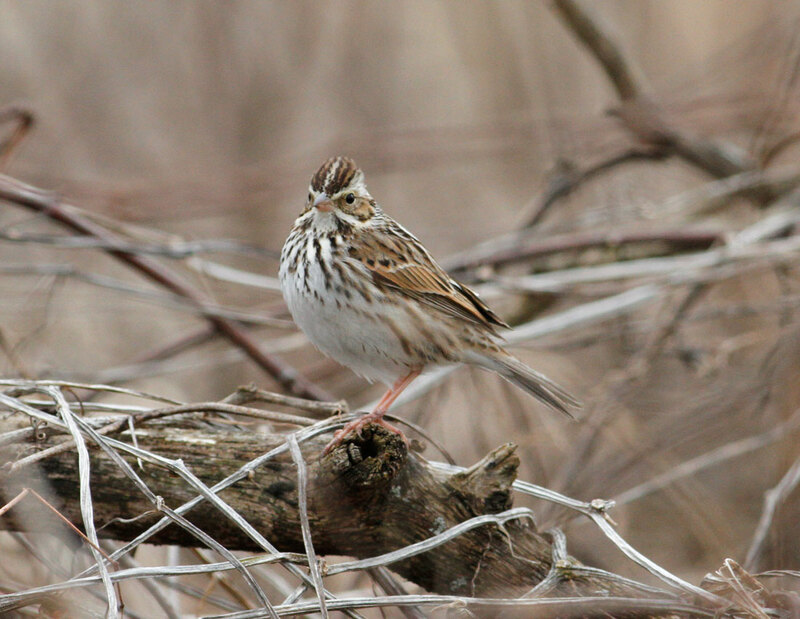 Savannah Sparrow - still good numbers, about 20, in the East Meadows, Northampton. January 15th. No sign, however, of the Ipswich Savannah Sparrow last seen on January 9th. Male (center left) and female (right) Barrow's Goldeneyes, Turner's Falls power canal, Franklin Co., MA. 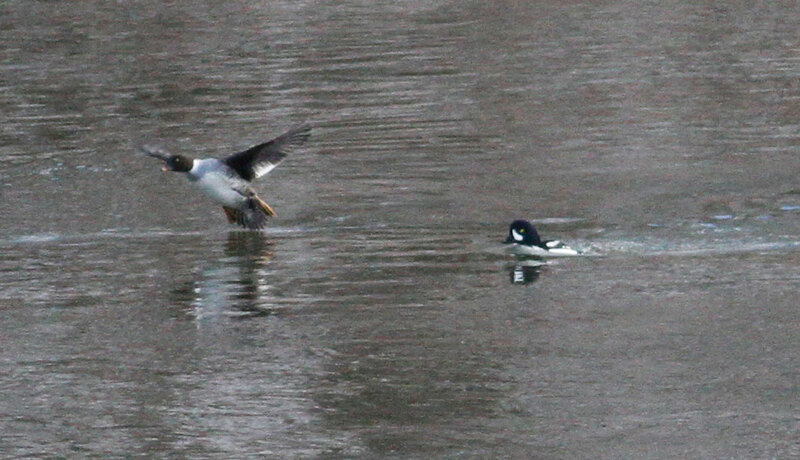 Male (center) and female (left) Barrow's Goldeneyes, Turner's Falls power canal, Franklin Co., MA. January 15th, 2016. 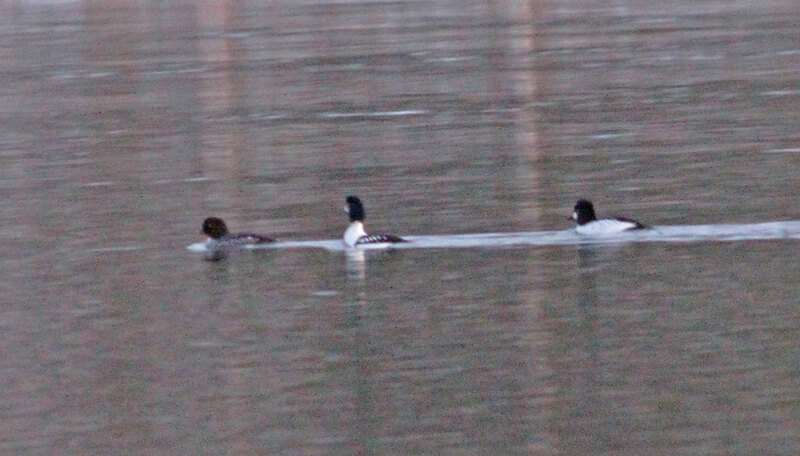 Male (center) Barrow's Goldeneyes, Turner's Falls power canal, Franklin Co., MA. January 15th, 2016. 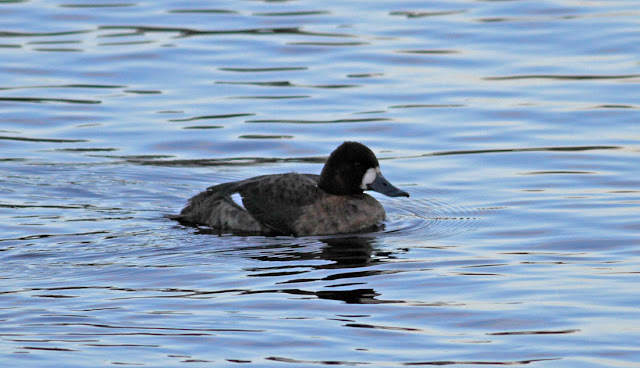 Lesser Scaup - female, Turner's Falls, Franklin Co., MA. January 13th, 2016. Long stayer continuing through to Jan 17th at least. Common Loons - (two of five present), Quabbin Reservoir, New Salem, Franklin Co., MA. January 16th, 2016. 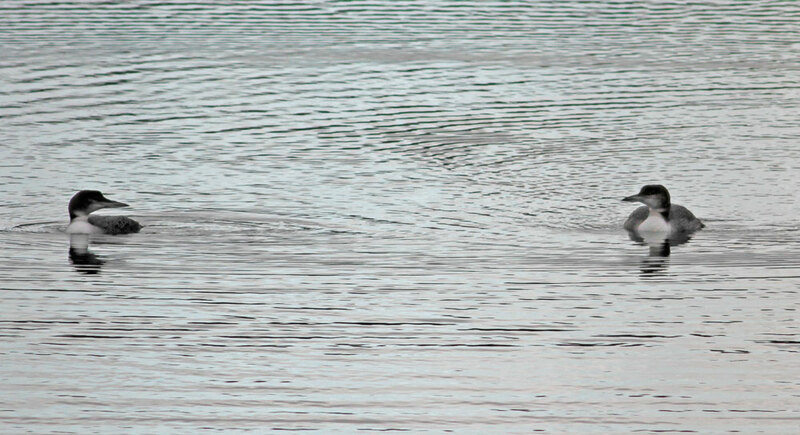 Unusual in the depths of mid-winter, but then so is lots of open water. It should be frozen in mid-Jan! 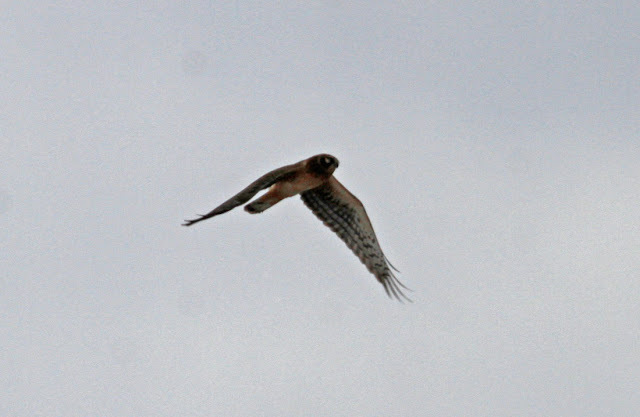 Northern Harrier - juvenile, East Meadows, Northampton. 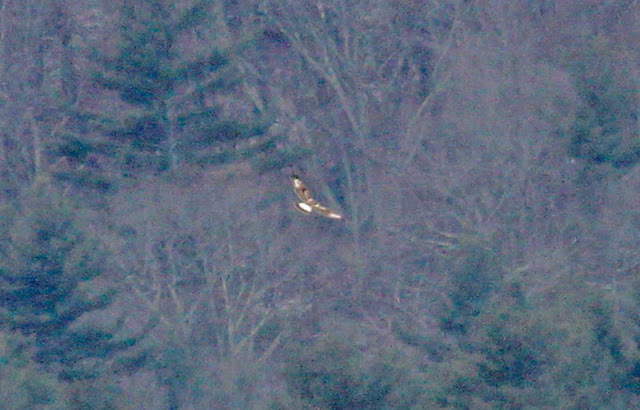 Hampshire Co., January 15th, 2016. 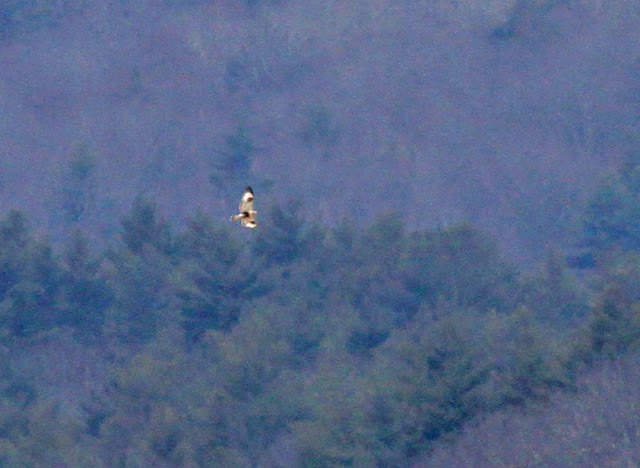 Rough-legged Hawk - light-morph, Quabbin Reservoir, New Salem, Franklin Co., MA. January 16th, 2016. 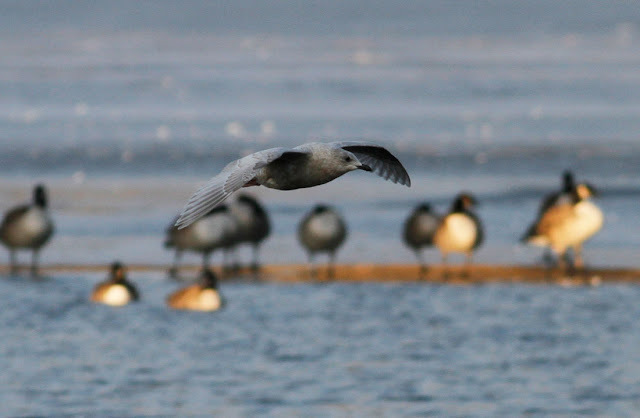 First noted and described by Bill Lafley on Jan 15th. Kumlien's Iceland Gull - third-cycle, Turner's Falls power canal, Franklin Co., MA. January 15th, 2016. Kumlien's Iceland Gull - first-cycle (left), Turner's Falls power canal, Franklin Co., MA. January 15th, 2016. With first-cycle Glaucous Gull bathing to the right. Snow Buntings and Horned Larks - East Meadows, Northampton. 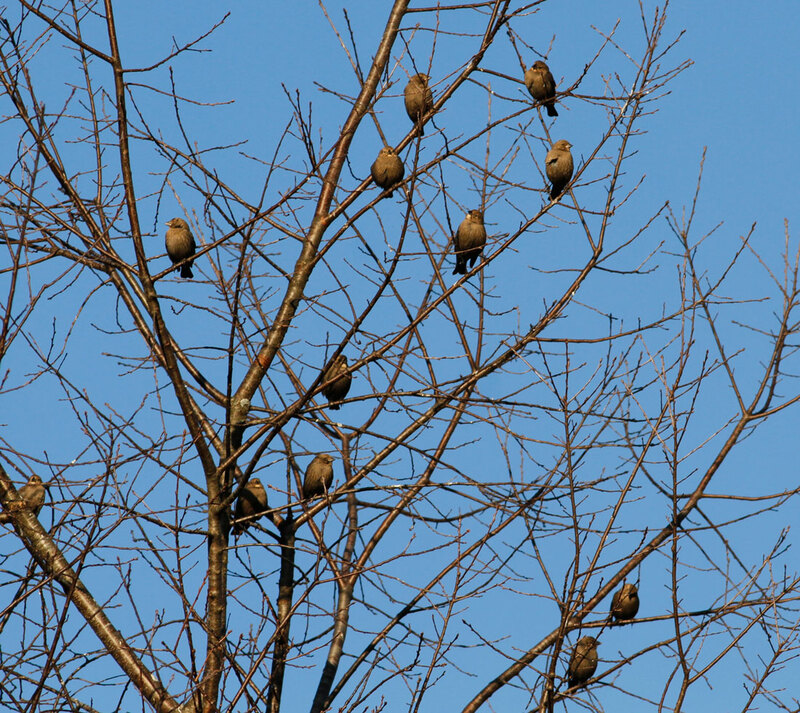 Hampshire Co., January 15th, 2016. 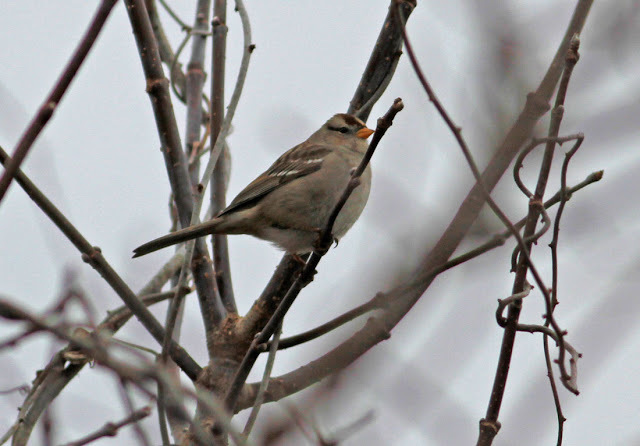 White-crowned Sparrow - immature, East Meadows, Northampton. Hampshire Co., January 15th, 2016. This morning I made a quick check of the Connecticut River at Montague City, that's just a couple of miles downstream from Turner's Falls and its well birded locations. A former railroad bridge now forms part of the local bike path off Greenfield Road and offers good views of the Connecticut especially downstream though a scope is essential to get the best out of a visit. 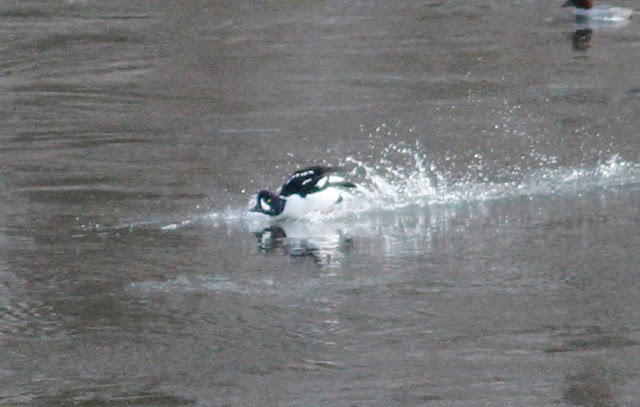 Conditions were frigid today with great chunks of ice flowing down the river and a blustery NW wind keeping temperatures well below freezing. 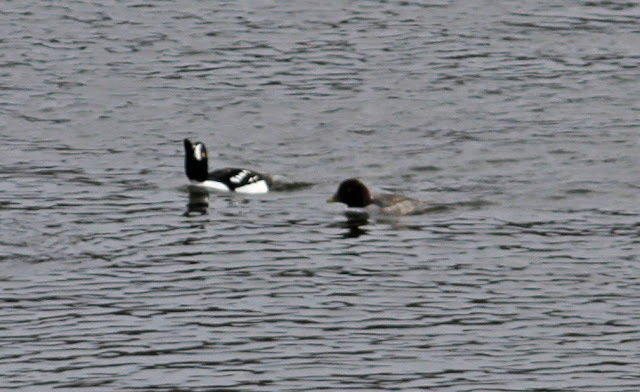 I was hopeful of seeing Goldeneyes and wasn't disappointed with about 45 Common Goldeneyes present. 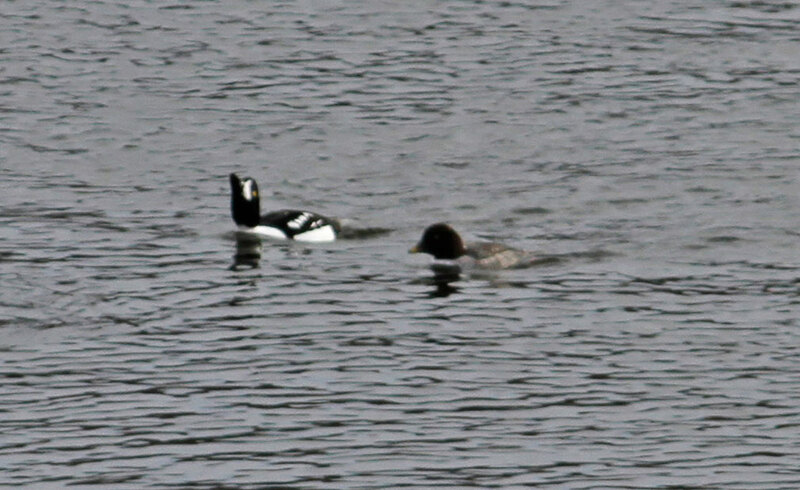 Among them was a fine drake Barrow's Goldeneye which I was tempted to call "the" drake Barrow's. However, this bird did look different to the male that I last saw at Turner's Falls power canal on January 10th, showing a giant white blaze of a facial crescent which (to me at least) looked quite different to the modest facial crescent of the Turner's male - food for thought! Barrow's Goldeneye - adult male, Montague City, Franklin Co., MA. January 13th, 2015.